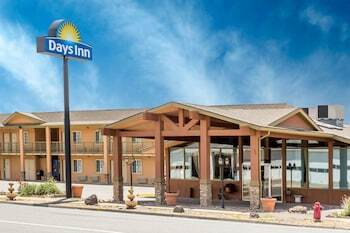 When you stay at Days Inn by Wyndham Delta CO in Delta, you'll be in the business district, within a 15-minute walk of Delta Chamber of Commerce and Delta County Historical Society. Featured amenities include a business center, a 24-hour front desk, and laundry facilities. Planning an event in Delta? This motel has facilities measuring 450 square feet (42 square meters), including a meeting room. Free self parking is available onsite. Located in Delta, Riverwood Inn Motel & RV Park is within a 15-minute walk of Fort Uncompahgre and Delta Family Fun Park. Free self parking is available onsite.